Programs are broadcast in the Afar, Amharic, Oromifa, and Tigrinya languages via shortwave and podcasts. Topics include Bible discussions, family, health, youth, witnessing, music, sermons, and Q&A. Broadcasts reach migrant Ethiopian and Eritrean audiences around the world. Listeners contact the studio through letters, phone calls, e-mails, social media, text messages, and face-to-face. Radio can carry the gospel to prohibited and remote areas. The radio work is integrated with other forms of church outreach, including inviting listeners to evangelistic meetings, putting listeners in touch with church members, promoting AWR in church publications, and publicizing church activities. More than three years ago, Chiadan* left his home in Ethiopia in search of a better life. From the beginning, his journey was plagued with life-and-death challenges, even before he crossed the border of his country. Undaunted, he persevered, crossing country after country. Eventually, he reached a prominent nation and decided to try settling there. To his great disappointment, however, Chiadan’s vision for his new life was nothing like the reality he found. The biggest hurdle was securing work. He searched and searched, following every lead, all the while wondering whether he would have to give up and make the long trek back home. 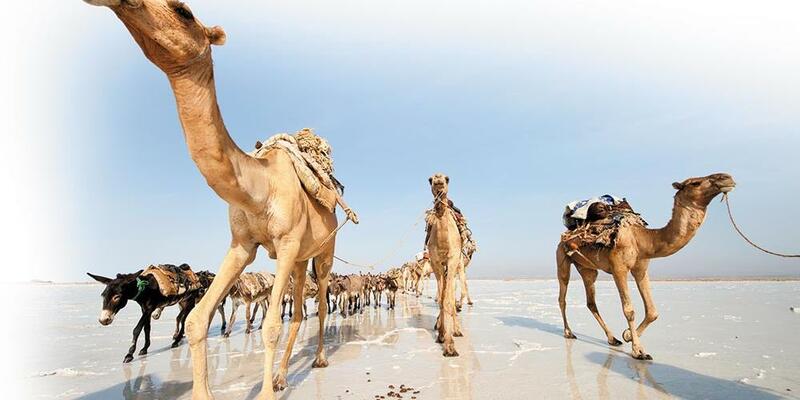 Finally, he managed to obtain a job in one of the country’s many deserts, shepherding 200 camels. Chiadan’s existence was a lonely one. Occasionally, the camel owner would come to check on him and the animals, but otherwise there was nobody else around to see or talk to. Many days passed in this way, and Chiadan’s spirits became lower and lower. The only way to overcome his deep loneliness was to keep busy working and sometimes listen to programs he could pick up on his shortwave radio. One day, as Chiadan was tuning his radio, he discovered a broadcast in his mother tongue. The program came from Adventist World Radio (AWR), and Chiadan was immediately captivated by what he heard. As soon as the program ended, he eagerly waited for the next broadcast. For two whole years, Chiadan continued to rely on the AWR program as his only companion. He was very disappointed, however, that he could not contact the people on the program. One day there was a special broadcast, in which a pastor presented an evangelistic series. At the end of the two-week series, the pastor made a call for listeners to give their lives to Christ and accept Him as their personal Savior. On the spot, Chiadan decided to accept the invitation. But although he wanted to give his life to Jesus, he had no way of getting in touch with the studio to tell the pastor about his decision. Days passed, and Chiadan’s wish to be baptized remained firm. Suddenly, however, he was confronted with an unexpected crisis. The government began a campaign to more closely regulate the foreign workers in the country, both legal and illegal. In the months that followed, more than two million people left the country—voluntarily or involuntarily—and returned to their homes in Bangladesh, India, Philippines, Nepal, Pakistan, Yemen, and Ethiopia. Chiadan was one of these departing workers, and when he arrived in Ethiopia, he made his way back to his birthplace. One of the first things he did there was to call the AWR studio and contact the producer of the program he had been following so faithfully. Chiadan told the producer his whole story and declared his wish to be baptized. The producer made arrangements to bring Chiadan to the capital city of Addis Ababa. Pastor Bekele Gebre, whose voice Chiadan had heard presenting the evangelistic series on the air, was conducting a new series of meetings there, so Chiadan’s visit was perfectly timed. With everything in place, Chiadan arrived in Addis Ababa and eagerly attended the meetings. After they concluded, he finally was able to stand next to Pastor Gebre in the baptismal pool and publicly accept Jesus Christ as his personal Savior. After his baptism, Chiadan returned to his hometown to live with his family. He is enthusiastically sharing his faith with his family and friends and is praying that he can establish a church there. Special thanks to Sintayehu Kidane, the Amharic producer for AWR Ethiopia and Geremew Biru, the communication director for the West Ethiopian Conference.